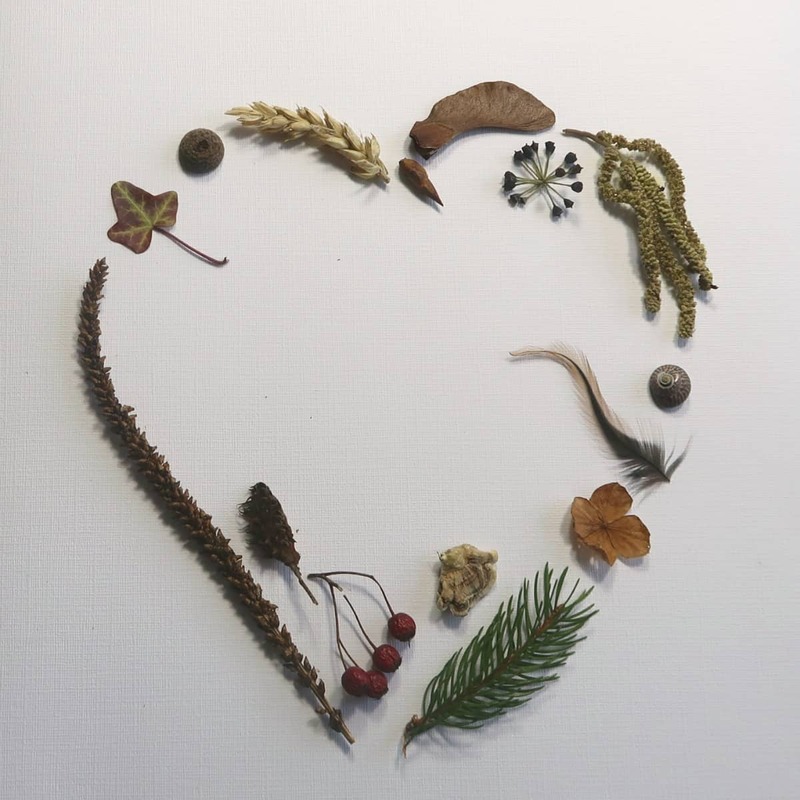 This beautiful heart collage proves that nature collages aren’t just for kids. It couldn’t be simpler to make, and the result is truly stunning. 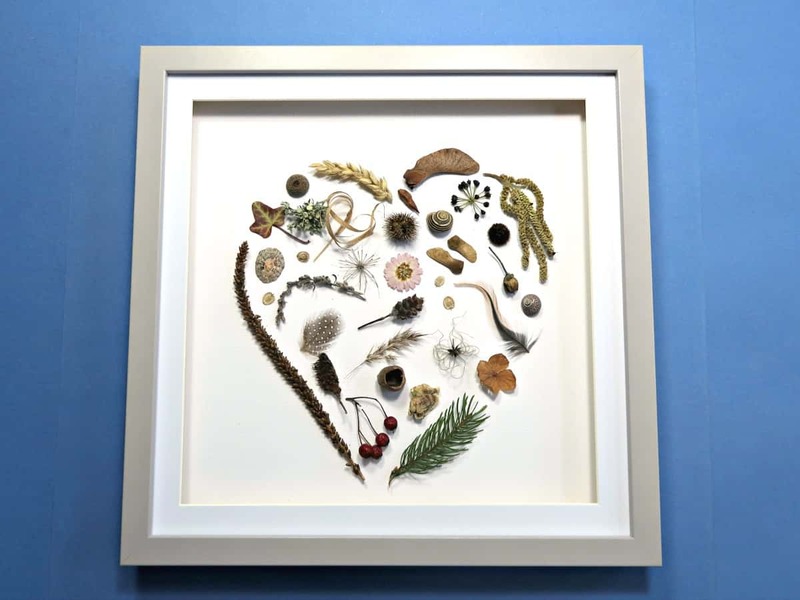 Nature really is the star of the show in this gorgeous Valentines gift. The term collage originates from the French word “coller”, meaning “to glue”. Materials or objects are glued to a surface to create a new form or picture, in this case, a heart. Natural materials such as seed heads and feathers can be small and extremely delicate. 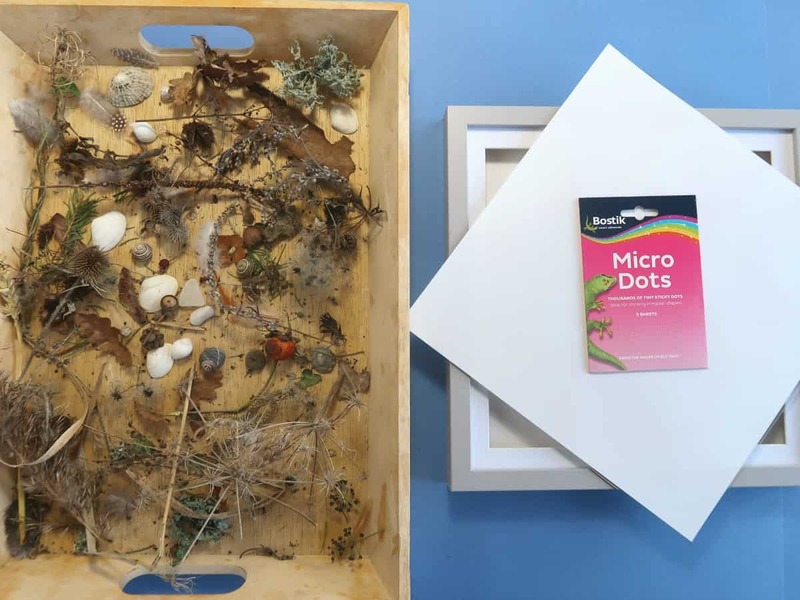 I didn’t want any glue residue showing on my completed artwork so chose to use Bostik Micro Dots to stick down all my nature finds. 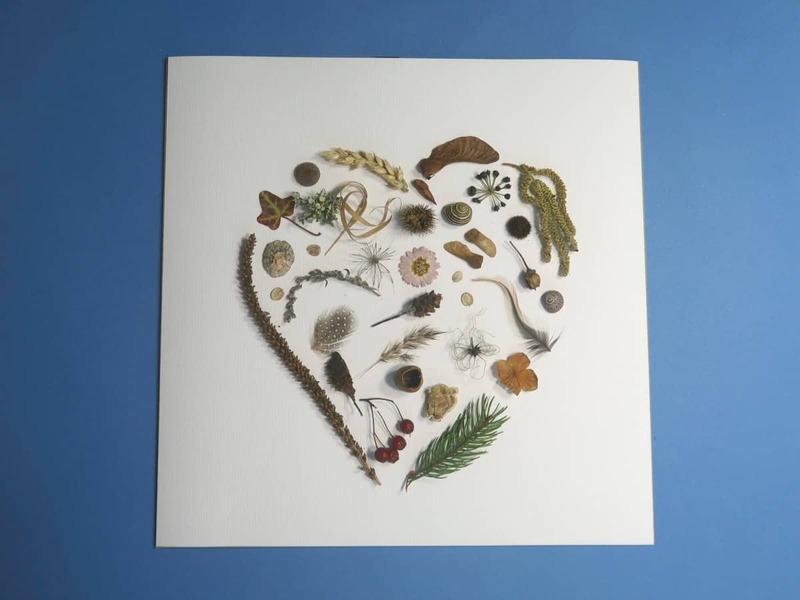 The micro dots turn any object into a sticker making them perfect from my heart collage. These tiny sticky dots are super simple to use and stick almost anything. They are also acid and lignin free ensuring they won’t damage or discolour any of the natural elements. I started by taking the Shadow Box Frame apart and sticking the paper to the back board to form my canvas. 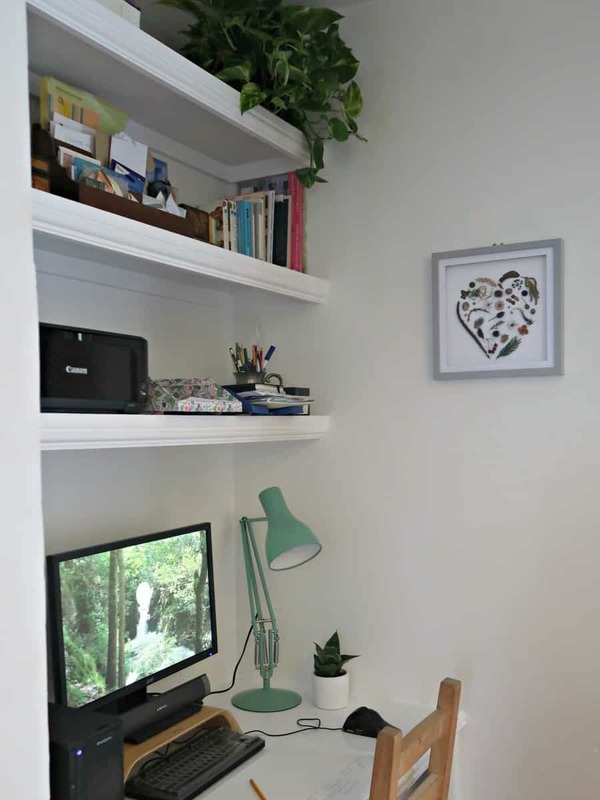 I chose a bright white paper as I felt that would provide the best background for the natural materials. You can just see the Bostik Micro Dots in the photo below on the back board before I applied the paper. To ensure I arranged my objects in a pleasing shape, I used a paper heart as a template. I started with the outline of my heart collage, before removing the paper and filling in the middle. The Bostik Micro Dots are perfect for sticking embellishments into place on a collage. 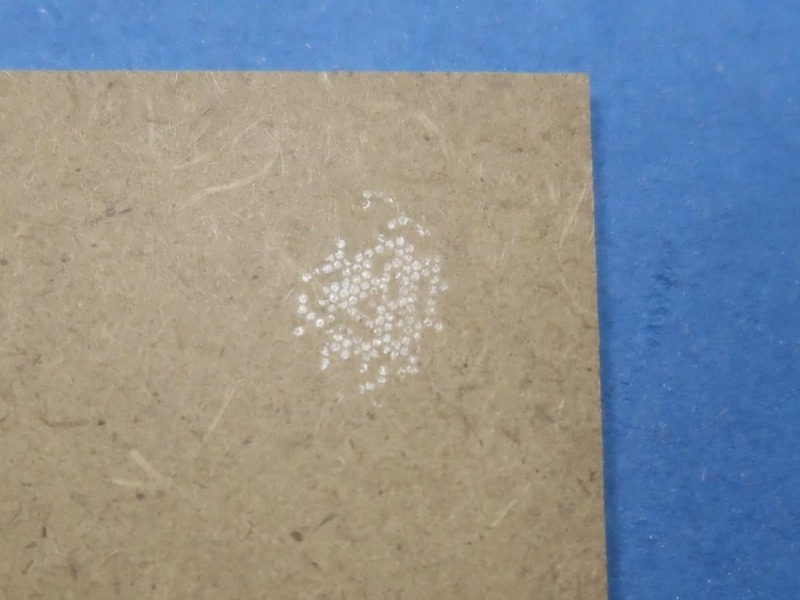 To use, place your object onto the sheet, rub the backing to transfer the dots and lift off. Although some of the nature finds I used are incredibly delicate, this method worked for all of them except one. The exception was the wild clematis seed. For it, I applied the dots on to the paper and then pressed the seed into place. 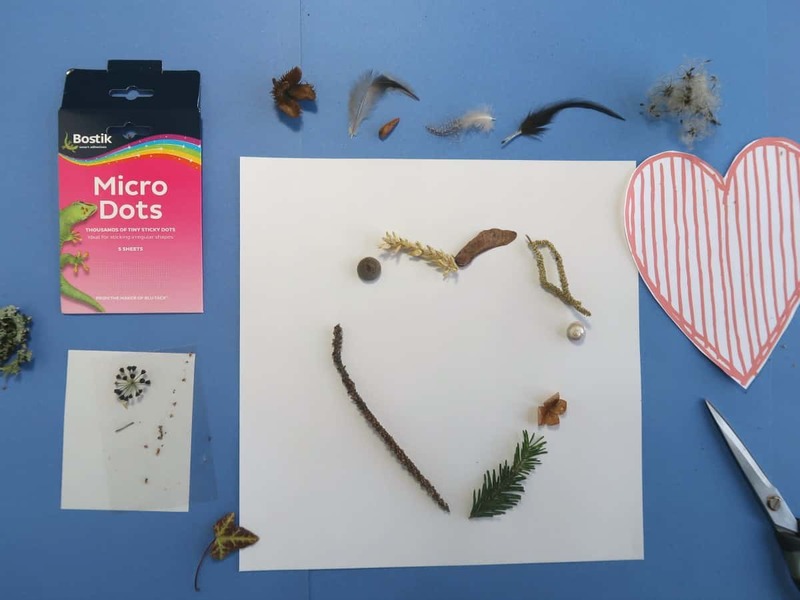 Not having to wait for the glue to dry made my nature collage such a quick and easy craft. I had it made and in its frame in less than half an hour. 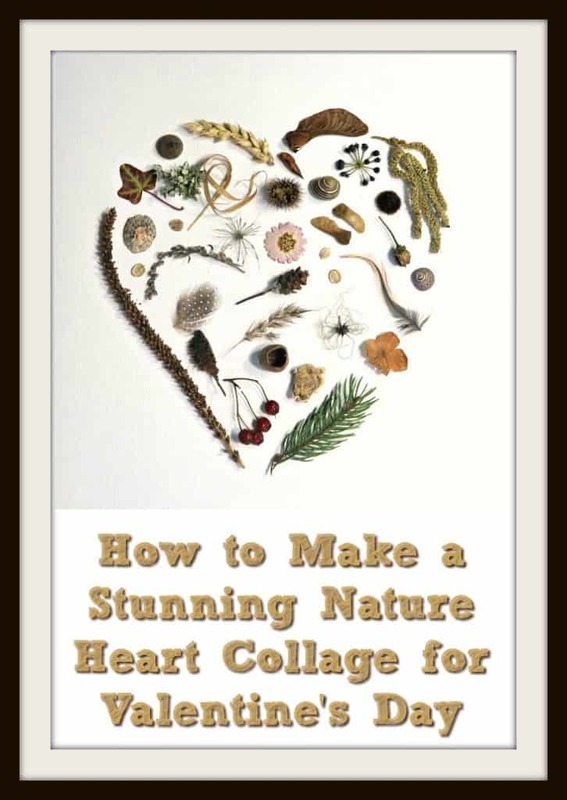 And if you are wondering who the nature heart collage is for, the answer is me! I love it so much I am keeping it. Here it is hanging above my desk. For more inspiration on creating art from nature check out my Sticky Nature Pictures and my How To Make Eco Prints posts. This is stunning. My question is this: Wouldn’t the items dry out (like the pine needles, for example) ? It is very beautiful! Did you spray any kind of sealer over it to keep any of your elements from drying out?